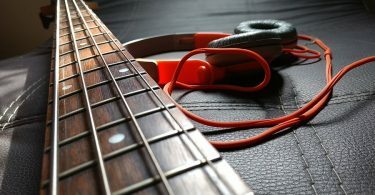 Learning how to record bass guitar to a computer and phone can be overwhelming with all the different options out there. 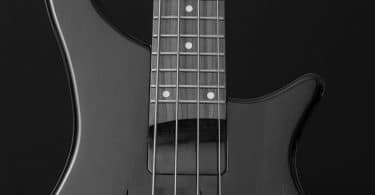 I’ll break down the most practical and best sounding setups for getting your bass guitar ready for mixing. When recording bass into a DAW (Digital Audio Workstation) on your Mac/PC or into your phone, you have a few different choices. It can be super simple or you can go way more in depth to allow for more flexibility. The easiest, cheapest, and most straightforward way to record bass into your computer or phone is with the IK Multimedia iRig2 HD. Basically it’s a small box that you plug your guitar straight into via guitar cable, and then you can hook it up to a Mac or PC with a USB cable, plug it into your iPhone or iPad via lightning connector, or plug it into another phone’s headphone connection. It's a great way to practice bass, especially if you don't have an amp. The iRig 2 also comes with an unlocked version of Amplitube which is an amp/pedal simulator you’ll be using to control the tone. If you are using a Mac or PC, just launch a DAW such as Logic Pro or Reaper. It should instantly recognize the iRig2 as an input device. Now assign it to a track, arm it for recording, and you should be all set. Next you will want to assign a bass amp simulator like Amplitube to the track. You can assign any amp and pedal combo and get it sounding exactly how you want. If using a phone, just plug it in and launch the Amplitube app and you should be all set. The Amplitube app will allow you to make multitrack recordings, edit, and add effects right inside the app. One huge benefit of the iRig2 HD is that it has a Thru connection. With this you can hook up to your phone or tablet like usual, but then run a cable from the Thru output to your amp or front-of-house at a venue. You can then use your phone or tablet to add stompbox effects into the chain using Amplitube. Super cool! 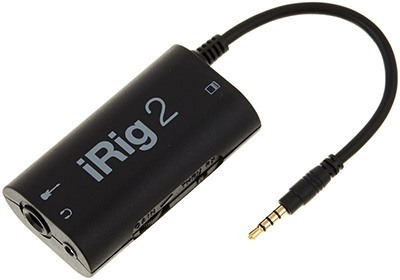 You can pick up an iRig 2 HD here on Amazon. If you want a bit more flexibility and higher quality sounds, then the iRig2 might not be enough for you. If that’s the case, check out some of the other recording options below. Out of all the options down below, microphone + DI is going to be the best sounding and most flexible, but just keep in mind that it’s also the most expensive so read through the rest to see if something catches your eye. One of the easiest ways to record your bass is to go direct into your audio interface, and then the interface goes directly to your DAW. An audio interface is basically a low-latency box that has some inputs on it which then connects to your computer via USB. Most have somewhere between 2 to 4 inputs, however you can shell out some extra cash to get more inputs and features. For the job or recording a bass, 2 inputs should be plenty. There are a lot of audio interfaces to choose from out there, but some good ones are made by Presonus, Apogee, and Focusrite. I personally use the Presonus Studio 26 and love it. I’ve had troubles in the past with some other ones but the Presonus is super easy and straightforward, plus it comes with a DAW - Presonus Studio One. Once you have your bass signal running into your DAW, you’ll just want to use an amp simulator like Amplitube to give it a nice bass tone. I highly recommend having an audio interface as part of your setup, and you’ll see that most musicians who record into their computer will have one. If you are using a bass amp and it has a good DI output, you can plug your guitar into your amp and then plug the DI output on the back of the amp into your audio interface. The benefit of this is that you can use the EQ on your amp if you want to change up your tone a bit and flavor it. A DI signal is the cleanest signal you can get from your guitar. It doesn’t have any effects like distortion. You can use the DI signal as-is, you can re-amp it later, or better yet mix it in with a recording from a microphone like the methods down below. 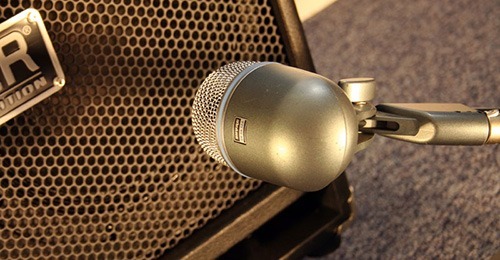 The next option is to mic your bass cabinet. I use the Shure BETA 52A. It’s a bass drum mic but it works really great for bass guitar as well. Make sure to put the mic a bit off-center so that you can pick up a bit of top-end, but also feel free to play around with different positions and find what works best for you. With this setup you would just play through your amp/cab like usual, and then run the microphone into your audio interface which then goes to your computer to be recorded in your DAW. Super easy! This is the most ideal way to record bass in my opinion. The way it works is that you plug your guitar into a DI box like the Radial Pro DI Passive Direct Box. Then you run the output of the DI box into input 1 on your audio interface. You then run a cable from the “Thru” output on the the DI box into your amp which has a mic in front of the cab. Next just run the microphone into input 2 on your audio interface which in turn connects to the DAW on your computer. This way you can hear the full sound of your amp/cab, and you get both the recorded DI signal and recorded microphone signal which can be blended together later. This method is the most flexible since you can mix the signals however you like. The DI signal is going to have a different flavor than the signal from the mic, so having more options available to mess with in post is never a bad thing. The mic is going to give you a nice round tone with a lot of bottom end, and the DI signal is going to be a much more clean and bright sounding track. Once blended, you get the benefits of both and it ends up sounding great. In addition, having the DI track will allow you to re-amp the tone down the road if needed. The last option is to just use a multi effects pedal like the Boss ME-80 Multi-Effects Pedal. You plug your guitar in, get it sounding how you like using the built-in bass amps, and then plug it into your computer via USB. Something like the Boss ME-80 will allow you to record what you hear alongside an unprocessed signal that you can use to re-amp later on. It’s a compact and simple way to get the tones you want, and it’s great for transporting around. There’s no need for an amp so you can just plug headphones in a jam away at all hours of the night. Having a hard time choosing from the above methods? I can offer some advice. If you are just looking to lay down a simple bass track and aren’t going to go way in-depth when it comes to mixing or if you don’t have a lot of cash to spend, then I think the iRig 2 HD is for you. Hook it up to your PC, Mac, or phone and use the included Amplitube software. If you are looking for a great quality bass track but have to keep it silent when you play, I think it’s best to use a direct box in addition to an audio interface going into a DAW. That or you can use a MIDI keyboard to trigger bass guitar software on your computer. If you have the benefit of being able to play out loud through an amp/cab and have the money to spend, grab an audio interface, direct box, and a microphone so you can get the best of both worlds. This method will be the most flexible when it comes to mixing and you’ll get the best quality of sound overall.